Talk about timing. My 64″ Plasma HDTV has gone kaput after just 3 1/2 years. I did get a Squaretrade warranty and we’ll see how that goes next week. Always been skeptical of these warranties so I was surprised I bought one from Costco. I think it’s just a logic board change and unfortunately, since I got such a great deal from Amazon, if it’s a complete replacement, I’ll only get a fraction of what it was worth. But when I think about last year, I was watching the games mostly on my laptop (13″), iPad Air (yes, I do like innovative Apple products (iPhone is not one)) (10″) or Moto X (4.7″) since my kids were watching shows on the TV. So I’m not as upset as I thought I’d be. The pic shows the initial stages on Friday morning but in an hour it was completely black. Sigh. What the hell? CBS cuts away for Obama’s speech in the last seconds of the Texas-Oakland game and says coverage will switch to TNT, but TNT is still showing George Mason-Villanova! Why can’t you you mute Obama on the split screen and have audio for the Texas-Oakland finish? 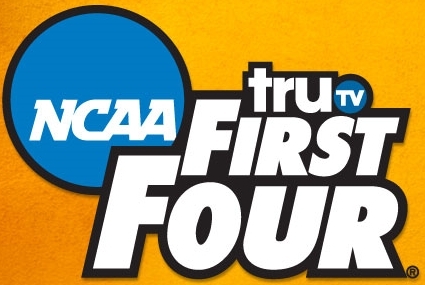 Do you know what channel TruTV is on? Surprisingly, Verizon FIOS has just added TruTV in HD (I wish after the tournament, they axe this and put in Fox Soccer Channel in HD instead) so I could watch all games in HD, if I were home. And for once, iPhone has a leg up on Android as the March Madness on Demand app is only available for iPx products. As for the pool, we have 15 entries from 12 people at the end of Monday, which is ahead of last year’s pace. But this year, the dour economy may be taking its toll as all 12 people are previous entrants. Keep spreading the word! As we head into the 2011 March Madness, it is possible the Harvard Crimson (eh?) may make the tournament. They have a share of the Ivy League title and if Princeton loses today (starts in 30 minutes, and is only on ESPN3.com), the Crimson are in. If not, then a one-game playoff on Saturday. Harvard?! As for the 2011 HWCI NCAA Pool, no changes to format or point system. What will happen is that the First Four (games played on Tuesday/Wednesday) winners get inserted into the proper 64-team bracket (as the Opening Game winner has been since 2003). What may happen, is that depending who wins, you may want to update your bracket (likely the #11, #12, or #13 seed). Feel free to email the update (if it’s just one or two changes) rather than refilling a bracket before the deadline. What will be interesting is that with TBS, TNT, and TruTV entering the mix, the schedule for Thursday-Sunday are wall-to-wall basketball, with games now separated by half-hours instead of starting 3-4 games at the same time, meaning, ideally, no games should end at the same time, so CBS has less of a chance of screwing it up. Full tip-off times are found here.